The principles of and approaches to composition have been intriguing and challenging subjects of study since the beginning of pictorial art. In this book both traditional and contemporary principles and approaches are explored and clearly explained. 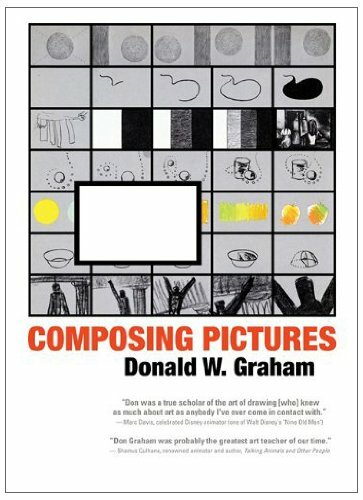 This lucid, insightful encyclopaedia of how pictures are put together, a classic in its field, is an invaluable book for long-term study, reference, and even browsing. A picture cannot be weighed, measured, and appraised like a sack of potatoes. This book avoids the 'discussion by dissection' method of picture analysis, stressing instead the graphic forces that remain valid and essential regardless of how art forms and fashions may change. In thirty-five short chapters, each devoted to a single important concept, the author covers the basics and complexities of graphic composition, including the illusion of depth, the enigma of surface, manifesting and symbolising force and motion, utilising borders, graphic accents, patterns, handling dark and light, directing the viewer's eye, and creating storyboards. These concepts are illustrated by hundreds of diagrams and the work of great artists from myriad historical ages, cultures, and styles. This book not only contains a section on film graphics, but also consistently reminds the reader that the principles of composition relate to the moving picture as well as the still picture.